Just Added: Antique-Style Pedal Fire Trucks! We have just added two classic pedal fire trucks to our site. Many of you have been inquiring about antique-style pedal cars as well as more firetrucks. Well, you asked and we listened. 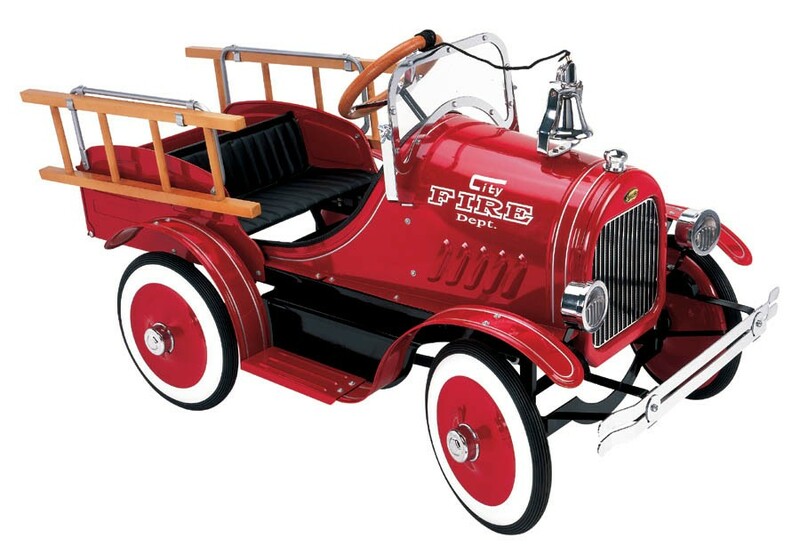 Check out the antique Limited Edition Pedal Fire Truck as well as the Deluxe Pedal Fire Truck. These will not last long, especially with the holidays just right around the corner.